Can a Steam Mop Replace a Vacuum Cleaner? Steam mops (also known as steam cleaners) do exactly what it says on the tin – they’re mops which provide directed steam to produce a deep down, thorough clean. 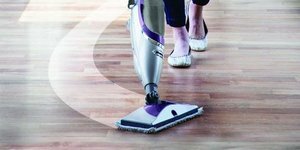 While they perform great (and are typically used) on hard flooring, some steam mops can also be used on carpet or carpet tile, potentially replacing larger carpet shampoo machines. If you have pets, young children, or both, a steam mop is an essential, ensuring that your floors are kept as hygienically clean as possible, with minimal effort on your part. Steam cleaning kills 99.9% of bacteria and germs in your home, without the need for harsh chemicals. This makes it ideal for those who are sensitive to chemicals, or who have breathing issues that would make using them potentially dangerous. The short, simple answer is: unless your home is 100% hard flooring, no. 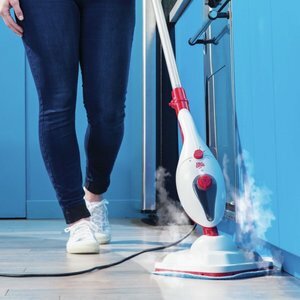 Steam mops are best on your hard surfaces and for additional cleaning, to put a final finish on a vacuumed room, or for quickly refreshing a room in between main cleans. 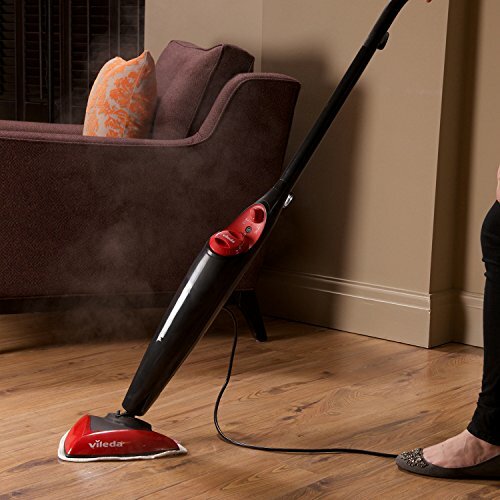 With a triangular head for getting into corners, and the ability to steam clean garments, the Ground Level steam cleaner is a handy little tool. It also features an extra long cable, great for those with larger or longer rooms. 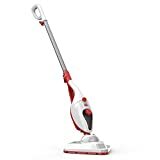 Offer 20 cleaning modes, and a hefty dose of power, the Ground Level isn’t cheap as far as steam mops go, and does feel a little flimsy. If you value functionality, and are prepared to make an investment, the Ground Level may well suit. The Ground Level might suit the executive, who would benefit from the dual household cleaning and garment steaming functionality. This is quite an expensive steam mop, and there are cheaper options with similar levels of functionality available. 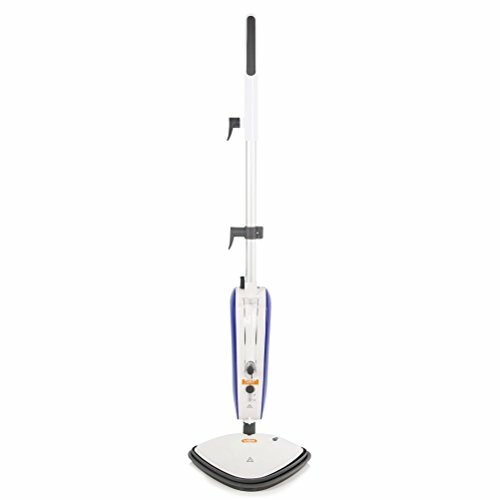 The Vax offers multi-function capability for cleaning hard floors, glass, and soft furnishings, and comes with a full accessory pack. It is, however, a very basic steam mop, designed more for occasional than regular use. This would be good for occasional cleaning, and might be useful to have around for cleaning up after parties, for example. 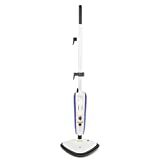 It is reasonably priced and backed by the Vax brand name is the current number 1 seller in the British steam mops charts. Click here for our full review. Quickly and easily converts into a handheld. 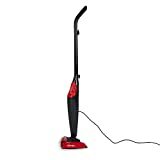 This is a lightweight steam mop which includes a carpet glider to refresh carpets, and the option to vary the heat and intensity of the steam produced. It does seem a little flimsy, which might put some people off. 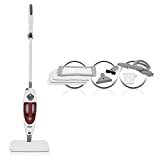 This is an excellent multi purpose steam mop for all around the house. Definitely a purchase worth considering. 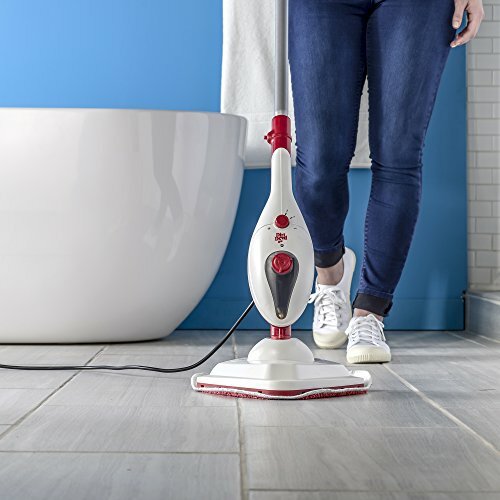 The quick and easy way to hygienically clean your floors - heats up in only 15 seconds. Kills 99.9% of bacteria on your floor without the need for any cleaning chemicals. Also includes carpet glider for refreshing carpets. Includes 2 Microfibre pads and a filling jug. The Shark comes complete with dedicated glass and hard surface cleaning attachments, a carpet glider to refresh carpets, and a detachable hand held steamer for stairs, garments, and curtains. The cleaning pads don’t seem to fit securely, however, and do have a tendency to come loose during use. If you can be patient with the loose pads, this offers whole-house cleaning functionality at a fairly reasonable price. 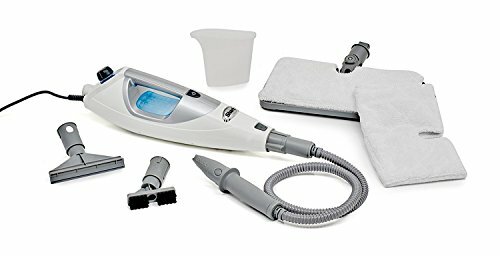 If you can be patient with the quirks of the pads, this is the only steam cleaning device you’ll ever need, for inside, at least, and is fairly reasonably priced, considering the level of functionality offered. It’s the best overall steam cleaner in this list, but our number 1 pick is half the price. Featuring five steam levels, and a concentrating nozzle for stain targeting, the Dirt-Devil lives up to its name. It also comes with washable, reusable pads, saving you money on replacements, and offers affordable quality. All your household steam cleaning jobs can be handled by the Dirt Devil. Definitely. The Dirt Devil offers excellent functionality, and is well within most people’s budget.